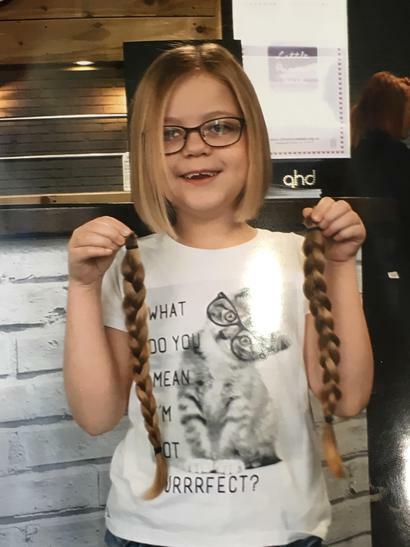 Congratulations to Erin who has had all her hair cut to donate to the 'Little Princess Trust.' This charity enables wigs to be made for children who have been suffering diseases that may cause them to lose their hair. This was all Erin's own idea and we think she is fabulous. Erin has also raised £1091 for the charity. Very well done!